I have been coming to Fallon for years as a retiree. This time however, when I asked for a reservation I was refused. I had left Fallon in November 2018 to head south. When I tried to make a reservation in January 2019 for an arrival in April 2019, I was refused. The person on the phone said that the RV park was full, and being used by Base housing residents while new housing was being built. The RV park should now be called a mobile home park. 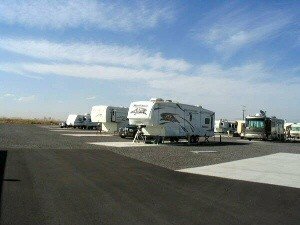 When I came on base to see the RV park on April 10, 2019, I saw a Jayco park model there as well as several other trailers that were there when we left in November. One camper was a Geographical bachelor who will reside in the RV park for his whole tour of Duty at Fallon (3 years). There were 4 empty spaces in the park. Yet online the RV park is not available for even one day. In the last 6 years since we have been coming to Fallon, the park is getting more run down by the day. 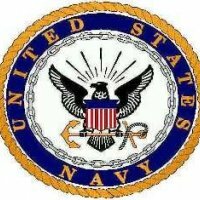 MWR used to care for the park, but now Navy Gateways does. No one seems to care about the park. This is the WORST military fam camp experience we have EVER had. And we’ve visited dozens of fan-camps all over this country. Fam-camp conditions were unacceptable and so bad, we left at first light and forfeited payment for a 2nd night. 1) Inprocessung was non existent. No directions, no sign or explanation where ofc is located or where to check in. We drove around for 30 min asking ppl how to check in. 2) No welcome packet; No base map, no facility locations, not even trash locations etc. Campground map was useless as our designated site wasn’t even on the map. 3) Ofc made a mistake and overbooked. We were relegated to overflow camping, which is an inexcusable dump. 4) Site water faucet did not work and ofc had closed. We had to pack back up, drive around and find another open site where the water faucet did work. 5) We were told we had a 50 amp. It was only 30. A major difference. With temp of 100 degrees, we could not use AC properly. Fallon NAS should be embarrassed to offer such inexcusable conditions for a military fam-camp. We will NEVER use Fallon again, and will NOT recommend it. As a retired 34 yr veteran, I feel sorry for the active duty who may be stuck using this campground. Called reservation toll free # on June 22 and secured with credit card a full hook up reservation for Sun. July 16. I received an email confirmation for my reservation. On Sat. July 15, I received an email stating that I had been moved to Over Flow without hookups. I immediately called the Fallon Office for Navy Inns and Suites. The office clerk informed me that I really never had a reservation because I had used the toll free phone # instead of calling them directly. I then showed her my printed reservation copy, to which she replied sorry we're sold out. It was 108 + F and we had already traveled 8 hours, so we made our way to over flow, parked the RV, and went to the base pool to cool off. We strongly suspect that our confirmed site was "gifted" to one of the many homesteaders at this RV park. I called the toll free # and complained to a supervisor who claimed that this had never happened before this incident. Someone needs to do an audit of the Fallon Res. Office at Navy Inns and Suites to prevent this from happening again.